We deal in manufacturing, exporting, and supplying a comprehensive assortment of EPNS Ware. 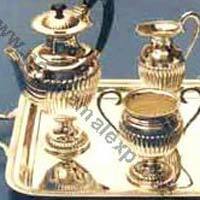 It includes silverware items like goblets, silver glasses, silver trays, tea sets, coffee sets, wine glasses, cutlery, bowls, candle stands, etc. EPNS Ware is offered in different designs and patterns. 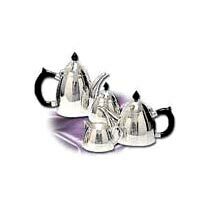 It is widely used for decorative and gifting purpose. 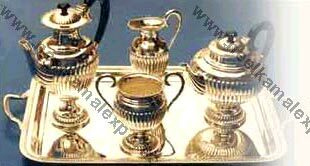 Our EPNS Ware has a fine finishing and shine. It is offered at reasonable prices.